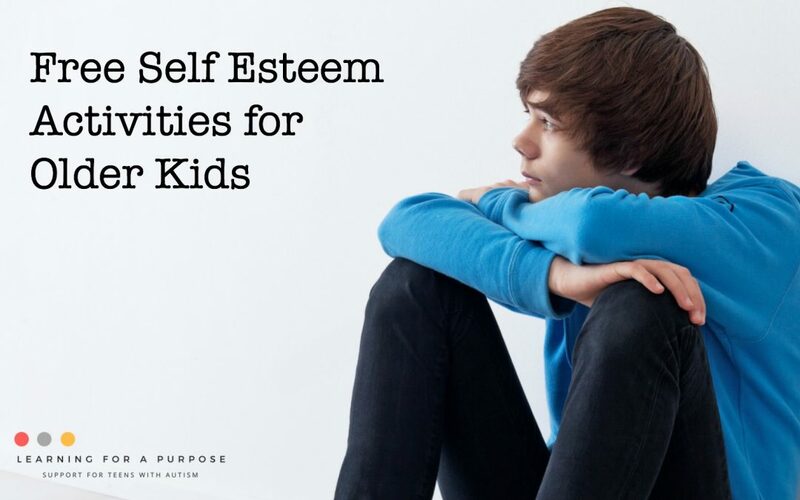 Self-esteem is an important skill to learn, especially for teenagers and older kids to help them manage and regulate their emotions as they become adults. Helping them see themselves in a positive light will have lasting impressions on them as they get older. They will have increased confidence in their abilities and hopefully see themselves in a positive way. Finding activities that older kids will want to participate with can be a challenge sometimes. They may not see the purpose of the activity in the moment, but these types of activities can have a long-lasting impression on their lives. That is why we found some FREE activities that you can try with older kids whether you are a parent, teacher, therapist, or professional to help you find just the right activity for your teen. This post may contain affiliate links. Please see our disclosure statement for further details. Some of these free activities are on the website Teachers Pay Teachers where you will need to create a free account to be able to download these worksheets. Click the titles of the activities below to be taken to the free download! We hope that you can find a free activity that will work for your situation. Let us know in the comments below if you found any of the activities helpful for your teen! 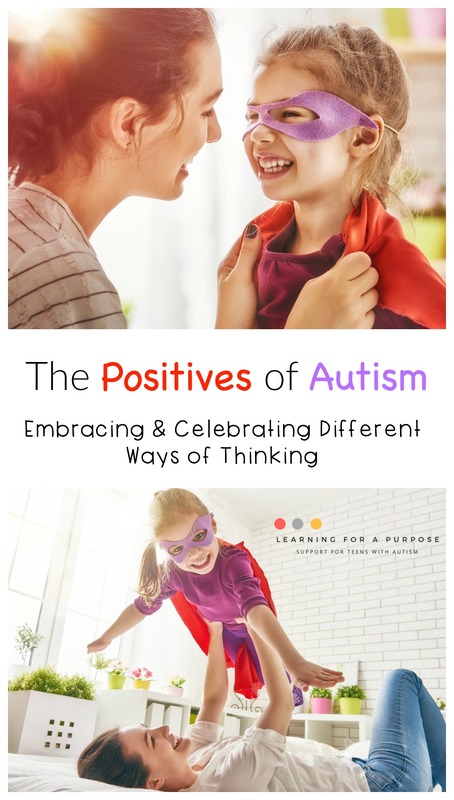 Today I wanted to share with you the positive aspects of autism, and how we can celebrate differences in everyone’s unique abilities. While working as an occupational therapist and being a big sister of a sibling with autism, I have been able to see many positive attributes of autism. * This post may contain affiliate links. Please see our disclosure statement for more details. While watching my brother grow up, it was so much fun to see him excel in certain areas of his life. Things that come easy to him are things dealing with science, computers, and anything technical. He’s very interested in building things with legos, and he’s very good at following step-by-step directions with concrete directions. He is able to focus for hours on end if he wants to, on activities that he is good at. He is one of the most kind-hearted and honest people that I have been able to meet. Every person is unique, and we all have unique abilities and differences, but I feel like we need to always make sure we focus on the positives aspects of their lives. When someone has a diagnosis, I feel like we can sometimes lose sight of the positives, and we focus on the struggles too much. The child goes through evaluations and assessments to show deficits and sometimes we focus so much on what they can’t do that we forget what they CAN do! By focusing on the child’s strengths and the things that come easy to them, we can help them excel in some other areas of their life as well. For example, if we can focus on what they’re good at, we can incorporate that with some areas that they struggle with. If they do well with visual cues, we can add visual cues to other areas of their life that maybe they are struggling with. 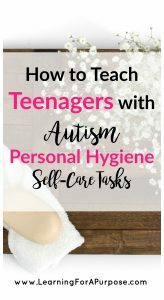 For example, we could provide them with a visual schedule or a visual checklist to help them accomplish tasks that don’t come easy to them, or maybe they really enjoy music and auditory situations, and so we can include that with situations that are hard for them, to help make that easier and ease their mind. 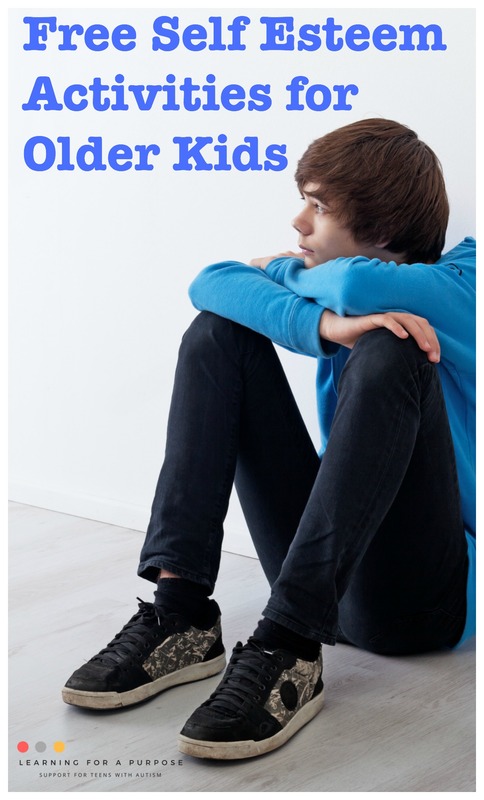 How can we help them excel as they transition into adulthood? 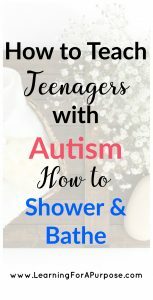 When we think about our teenagers and young adults with autism, how are we going to be able to help them excel as they transition into adulthood? One way to help them is to help them focus on the positives in their life, and what are their strengths. What are they really good at? How can we help them find those skills that they are really good at, and keep pursuing them to find skills and abilities that they are good at? Think about specific skills. There are specific skills that you and I are all good at, and in other areas that we do struggle at. We seek out jobs and activities that we are strong at, to help us succeed and excel. 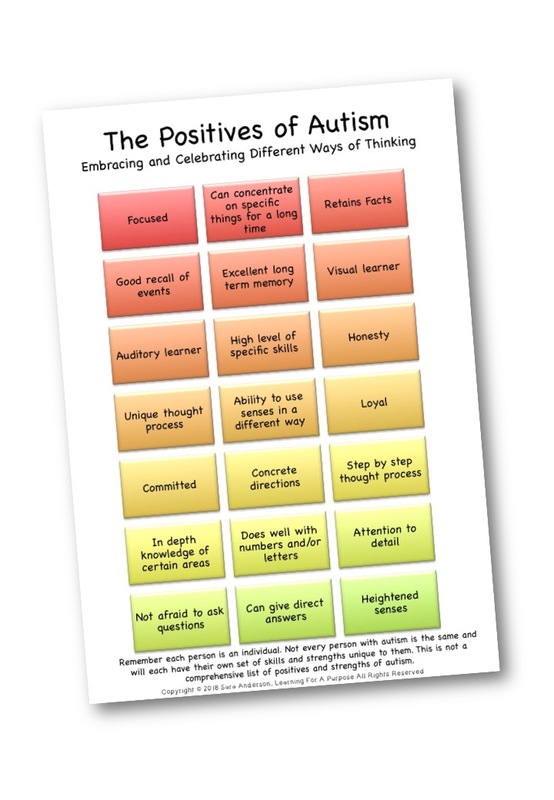 We need to help our loved ones with autism find these strengths as well, and guide them to opportunities that will help them excel in these areas. Check out our list of positives of autism to help you find the strengths for your loved one. What are your loved ones’ unique capabilities and strengths? We would love to hear about it in the comments below. Remember each person is an individual. Not every person with autism is the same and will each have their own set of skills and strengths unique to them. No one person will identify with every feature of autism. Each person will have their own characteristics that make them who they are as a person. This is the power of neurodiversity. *This post contains affiliate links. There is no extra cost to you, but will greatly help our family. If you would like to read more, here is our disclosure statement. School is OUT! I remember being so so so excited for summer vacation as a child and loving every aspect of summer! I loved going to the pool and spending time more time with my mom! I will cherish these memories for a lifetime! What are the best ways to create lasting memories that your child will remember for years to come? Think back to your childhood, what are memories that stand out to you? Sure, I remember some of my favorite vacations with going to amusement parks and the ocean, but ones that stand out to me are going on bike rides around town, playing on the swing set in the back, having a water balloon and silly string fight in the front yard…just to name a few. What stands out to me are FUN and somewhat simple experiences! 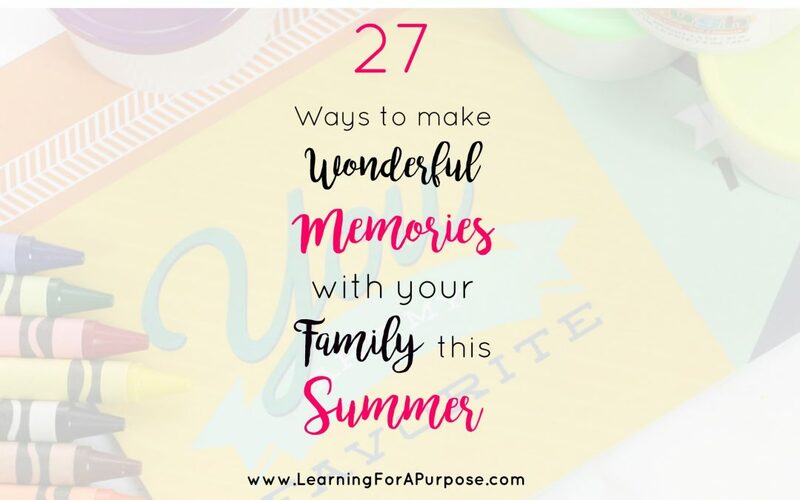 Here are 27 Ideas to help you create your own wonderful memories with your family this summer! Spend time OUTSIDE! Connect children to nature at least 1 hour a day where they can learn and explore. Make a mess in the kitchen with your kids and have fun while doing it! 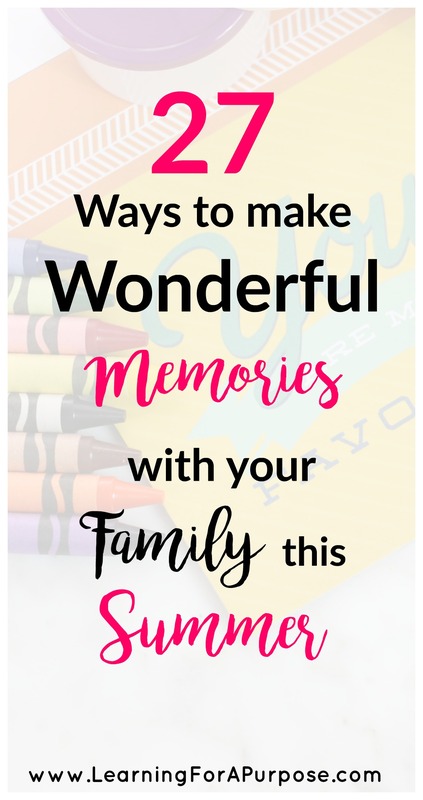 I hope these ideas can help inspire you to make simple, but lasting memories with your kids that will last a lifetime with them! 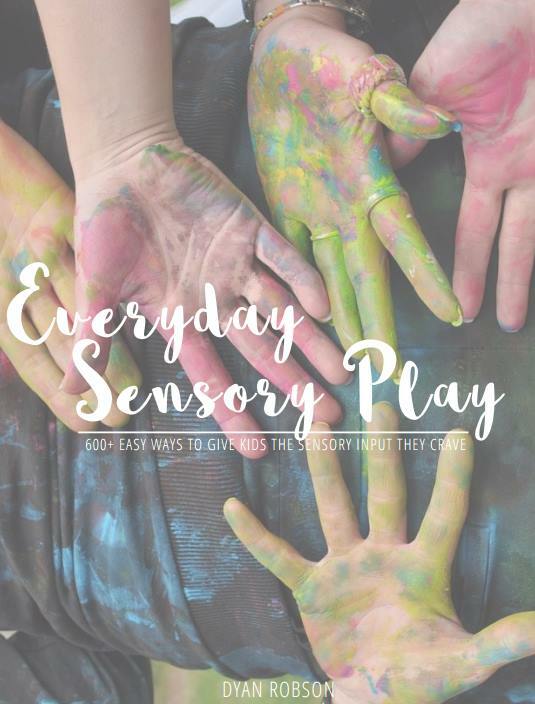 I also wanted to share with you an amazing resource from And Next Comes L, where Dyan has created an ebook with a list of over 600 Everyday Sensory Play Experiences! Everyday Sensory Play lists 600+ everyday sensory activities designed to give your children the right sensory input that they want and need! We hope that you have a wonderful fun filled summer with your children and would love to hear about the wonderful memories you are making with your children or past childhood summer memories! *This post contains affiliate links. There is no extra cost to you, but will greatly help our family. If you would like read more here is our disclosure statement. 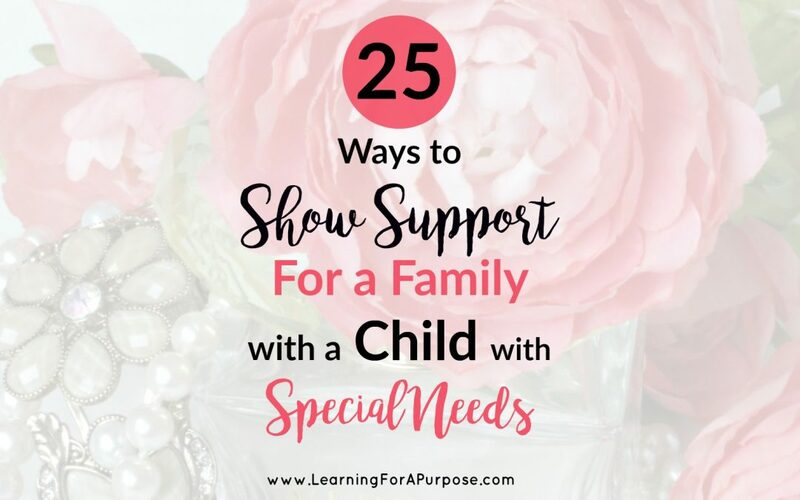 This post was originally written about Mother’s day, but the more I thought about it the more I realized these are actions that we should do all year round for mothers, parents, and fathers of children with special needs. These can seem like such simple acts of kindness, but they can go a long way for a family. Mother’s day can be a wonderful day where mother’s feel appreciated and loved for many, but sometimes it can also bring up pain and sadness depending on what memories this day brings to you. Maybe you recently lost a mother or you are a mother who lost a child. This time a year can bring back sadness and hurt. Maybe you are a single mother or father taking care of a child that has complex medical needs or a child that needs a lot of attention and care. Or maybe you are a family trying to find ways to help your mother have a day where she can feel appreciated and loved for everything that she does for you. 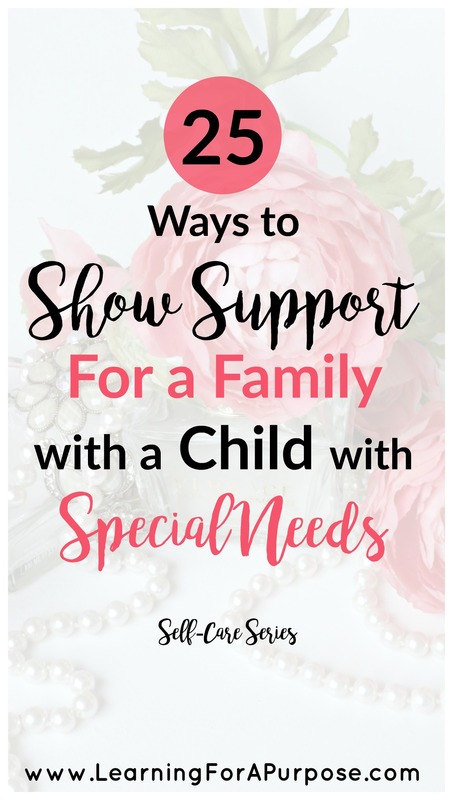 Whatever avenue you are on this Mother’s day, I hope that these tips can help all Mother’s especially those with a child with special needs feel loved and appreciated for all of their hard work. If you are a husband, loved one, or friend to a mother with a child with special needs, we hope these ideas can spark some inspiration to help make Mother’s day and every day a success! 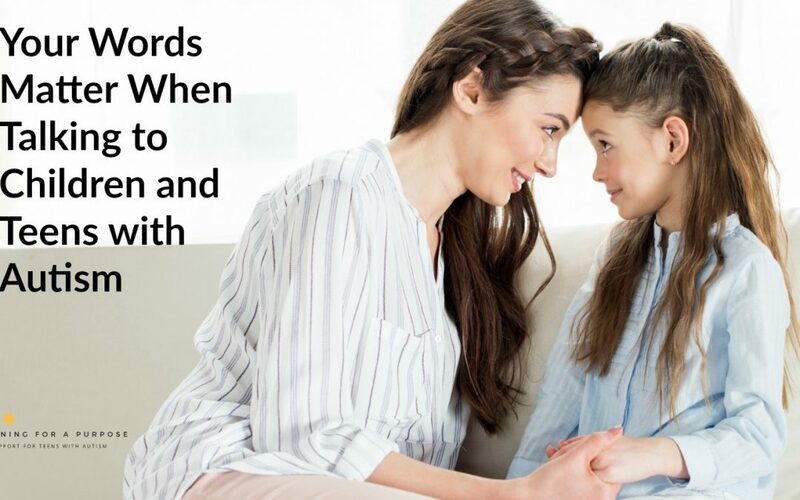 This post is the first of many in the self-care series where we will provide you with resources and advice on how to help take care of ourselves as a parent. We need to learn to also take care of ourselves as a parent to be able to provide the best care for our children. My mother is always wanting to do everything for her children. She is constantly putting her children and her husband first in her life and doesn’t always take time for herself. Helping your mother be able to take a break from the busy schedules can help reenergize herself so that she can be the best version of herself to help her family. This is a BIG one…and as a mother you need to be able to learn to accept help as well. Ask her what she may need done around the house, or how you can help out to make this next week a little easier for her. Is there something you could help by taking care of her children or going with her to be able to go out in the community and participate in a fun activity with the entire family? There are endless possibilities of ways she may need help, but make sure you are there for her and ask her what she needs help with. Don’t be afraid to just ask her is there something you would really like to go and do? Find out from other family members what are some of her favorite activities to do and provide time for her to complete that activity with her. Now keep in mind you may have to also figure out child care for this mother if you are wanting it to be just the two of you. This may take some extra planning depending on her situation, so make sure you take that into consideration. Maybe just taking the time to listen to her and allowing her to share her feelings and opinions without feeling judged is what a mother might need. Bring her a cup of coffee or tea and allow her the opportunity to just sit and chat in a judgement free zone. You never know how much of an impact this simple act can make for someone that may feel like they are alone. Let your mother know that you are here for them as a loved one or a friend and know that you are available to talk or go do an activity with them. Let them know that they can call you if they are needing help or just need some advice. It is always good to know which friends or loved ones you can always count on to help you out when you need it. For some mothers, cooking a meal can be very tough and frustrating. It can take a long time to create a healthy meal for a family to share together. You have to find the time to go grocery shopping, prep the ingredients, and then cook the meal. That can be very time invasive, so just the kind act of making an entire meal for this mother to be able to share with her loved ones can be a huge act of kindness. Yard work is another chore that can be daunting and take a lot of time, which a lot of mother’s don’t have enough time. Helping out with mowing the lawn, trimming bushes, or watering the flowers can be a huge help for some mother’s and families. The act of asking to help do the laundry or clean up the kitchens or bathrooms can also be a huge help around the house. This can help the mother’s have more time to spend with their loved ones doing something they enjoy together. I know if this was me, I would love to have someone help clean up my house. Depending on their situation, just finding the time to be able to leave the house for a simple errand, can be a hard task for some mothers. Asking to help go get groceries or drop off some packages can be a huge help for some! Gas can be expensive, especially if you are a family where you are constantly driving to appointments for your child. A gas card could go a long way for some mother’s to be able to have sufficient funds to know she can get her children to their appointments on time. Sleep is one of those things that can be neglected when you are a mother to a child with lots of needs or just a very busy lifestyle. Help a mother out by offering to take care of the child for a while to allow her to sleep in or take a nap. Sleep is a necessity and can help a mother be the best version of herself with enough sleep and energy. This one is a personal preference, as I love to listen to books on my audible app through Amazon. I am someone that doesn’t take the time to sit and read, so I love being able to listen to books on tape and I am able to multi task at the same time with either doing dishes or folding laundry. I also love listening to books in the car! This has opened up so many more opportunities for me to be able to catch up on reading that I otherwise would not do. Is there an activity that the whole family would like to be able to do together? Help them find a way to complete that activity where everyone in the family will be able to help participate with to help create fun memories for the mother and family to be able to cherish for a lifetime. Our family loves finding books where the message is uplifting and encouraging. Maybe there are other mom’s out there that also like to read encouraging books as well. Find out what your mom likes to read and provide opportunities for her to do that. My mom has loved watching and reading inspirational books by Joel Osteen. The special gifts could go on and on forever. Every person likes a special gift that comes from the heart. These are just some ideas to get you started in the gift giving process. This post goes out to all mothers who work hard to provide for their families and work to take care of their children to the best of their abilities. I hope you can find some inspiration from the ideas listed above to show your love and support to all the mother’s in your life. This list is not just about mother’s but both parents or fathers who are just trying their best to raise happy healthy children. Is there something you would like me to add to this list of ideas? We would love to hear from you! This post contains affiliate links, there is no extra cost to you, but will greatly help our family. I believe that God has a plan for us and that we are to love everyone…Now you are probably thinking how does God fit into all of this? Well I believe that God has me here on this Earth for a bigger picture and that I am here to help others show love and acceptance to others. Why is it so hard for us to understand something that is different from us? Why can we be so judgmental? Why is it easier to be sad or mean instead of nice or happy? There are a lot of why questions in life and every one of us has a unique answer to those questions. Everyone is UNIQUE. We all go through different experiences in this life that shape who we are as a person. Now you are probably wondering when is she going to start taking about Autism? First I want to paint the picture that every person has unique and different personalities. We can look different, think differently, like different things such as foods, and we all have different skills that we are either good at or bad at. Every person is unique, just like every person with Autism is unique. No one person is alike, has different meaning for each person and if you have met one person with Autism, you have met only one person with Autism. Please do not base your opinions based on one experience you have had with someone with Autism. 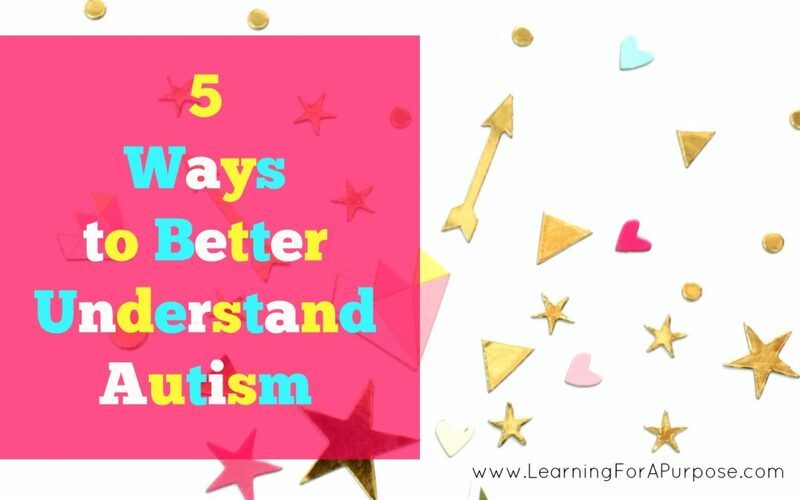 These are views that I have learned along the way as a sister, a professional, and as someone who is wanting to learn more about the Autism world, so that I can learn their perspective and be able to understand their viewpoint better. 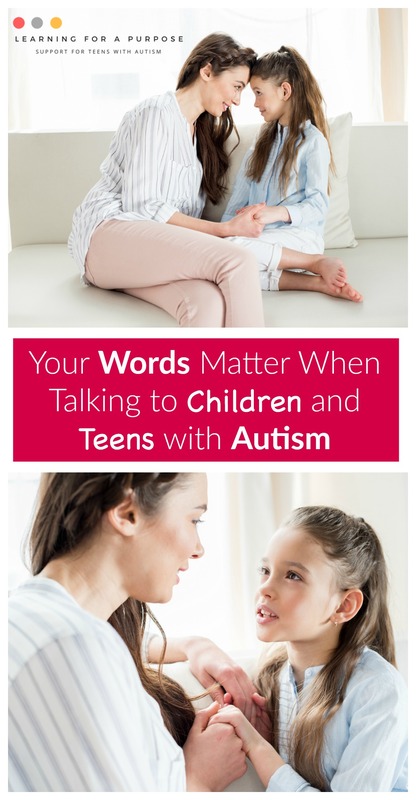 When talking to your children or loved ones about Autism come from a loving and positive viewpoint. We all see the world differently, but the world can look very different for someone with Autism. The brain is wired differently and different connections can work well or may have more difficulty working. The senses may be wired differently as well. Sound, touch, taste, smell, or movement can feel much different for someone with Autism. 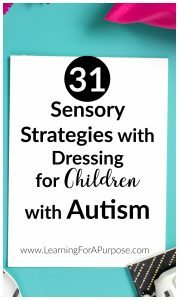 We all have different sensory preferences such as the foods we like or the activities we enjoy. Respect everyone’s sensory preferences and differences. Communication may be difficult and social interactions may be very hard for someone with Autism. Find ways to include someone with Autism in an activity in a way that they can handle the situation. In order to do this, you first need to get to know the person and understand their likes and dislikes. The special wiring in their brain can make something that we may think as easy be very hard for them, or something that we may think as being hard, can be easy to them. 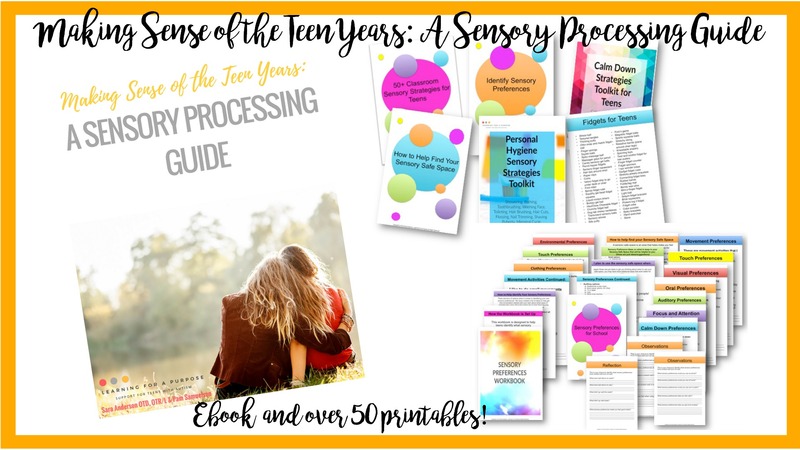 Someone may develop behaviors to help them cope with stressful or chaotic feelings due to being overwhelmed with an experience due to the their senses. When the brain and senses don’t communicate well the brain can become overwhelmed. These behaviors can look odd to us, but it can help them feel calm inside. The person may not be able to say out loud how they are feeling. From the outside they could look like they are fine, but on the inside they could be feeling chaos. Take the time to get to know the individual. Find out what they like and don’t like. Find a way to be able to communicate with them. Do they talk verbally or use a communication device? See if there is something that you can do together that you both would like to do. If someone is talking mean about someone with Autism, stand up for the person and say something positive about them. I have heard many times that people with Autism just want to feel understood. In order to do this we need to take the time to learn the world from their perspective and not be quick to judge or place opinions. I loved this quote from the video Amazing Things Happen, “People with Autism are not ill or broken, they have a unique view of the world.” If we take the time to learn and share the world from their point of view, we may be able to see the amazing things they can do. 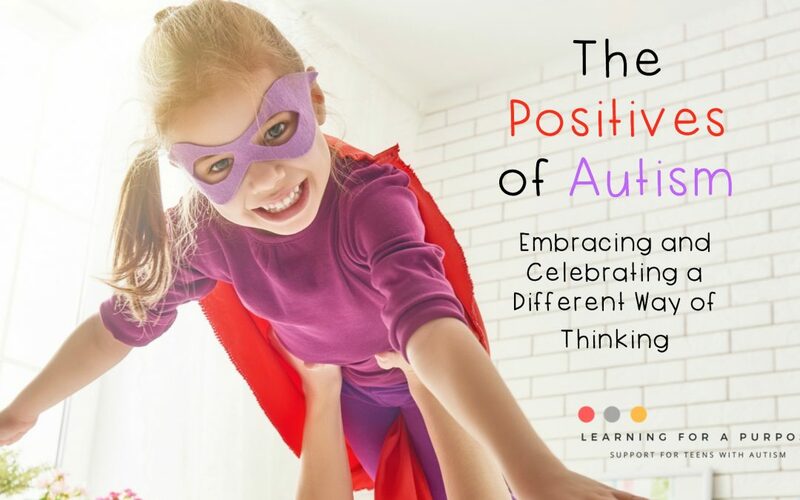 If you are looking for a video to be able to share with your children or loved ones about Autism, I highly recommend this video from Amazing Things Happen! Amazing Things Happen is the creation of independent animation director Alex Amelines. Here is the link to the Facebook page for Amazing Things Happen. If you found this post or video helpful please leave a comment below. I would love to hear your thoughts! 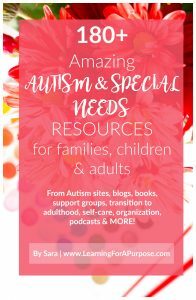 If you are looking for further resources to help you better understand Autism, here are a list of books that may be helpful! Do you have a child with Autism and need help to find support? This post talks about 24 amazing online support groups and blogs for families!